The beginning of a new year has always been greeted in the most fantastic and explosive ways all around the world. Year after year, several countries in the 5 continents, in the most impeccable city landmarks prepare the welcome of the New Year narrowly. These celebrations are televised and all the people from the different corners of the globe share the love, the appreciation and the momentous start of the New Year with the most welcoming embraces. 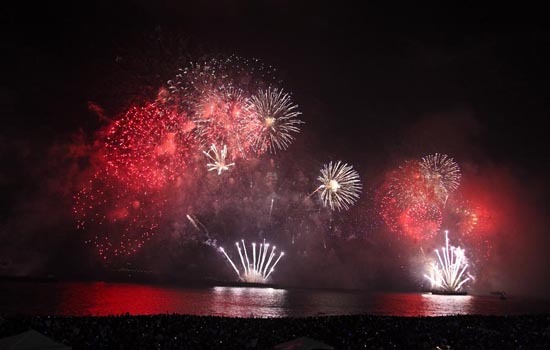 However, nothing beats the festivities, the happiness and the international appeal of the New Year's Eve celebration in Rio de Janeiro, considered to be the most important New Year's celebration across the entire globe. The shores are lined with so many people, over 2 million. These people usually wear white as a tradition and they have the most different kind of celebrations by the beach. Street dancing and amazing concerts are scattered across the beach to celebrate the newyear's with a real strong energy. Impeccable fireworks are presented to keep up with the global tradition of the New Year's fireworks across the globe. The New Year's Eve in Rio is extremely full of color, alive, and has an amazing impact. 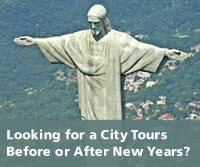 International audiences and privileged ones who were able of booking hotels for the day of the celebration will experience the full glory of the Rio New Year's celebration that is modern, lively, and spiritual, all at once, with the general idea of being uniquely Brazilian. Why people usually wear white in New Year's? This country is one of the biggest Catholic countries in the world and spirituality has come a long way since the emergence of Catholicism. Myths have been in existence for a very long time and the tradition has truly become more colorful throughout theyear's. In the New Year's Eve in Rio everybody, locals and members of the international community, come together by the beaches to proffer their offerings to Iemanja. This is the most interesting and spiritual of the celebrations. Carnivals, street celebrations and colorful performances are prepared to celebrate this wonderful time of the year. There are also tons of clubs and bars open for everyone who wants to have a great time celebrating the arrival of the New Year. Concerts from different bands and performers add color to the celebration. One of the best things in this celebration is the fireworks. Every year people wait for this spectacle of lights and sounds and it is truly an impeccable celebration that gives everyone the chance to feel the glory of welcoming this new start. The New Year's Eve in Rio is probably the most anticipated celebration across the world and this is something that you should never miss out nor change for anything else in the world.